On and off during recent years I caught some headlines about submarine volcanoes in Italy but never got round to read those studies. Since I came across some really Doom-&-Gloom-The-End-Is-Nigh videos I decided to have a closer look at these. And I’ll give the answer beforehand: Yes there is a real risk. And, yes, there is an awful amount of fearmongering. Since the break-up of super continent Pangea, the African and Eurasian Plates have been moving towards each other on an eventual collision course. Especially after the Atlantic began to open up, Eurasia slowed and the African plate continued moving north, thereby closing another ocean, the Tethys. About 30 million years ago, the African plate diving under the Eurasian had established a sizable subduction zone in the western Mediterranean. Africa has moved so far north that almost all of the heavier oceanic crust between the continents was consumed in the subduction process. So, with Africa’s continental crust just not being heavy enough to plunge under, subduction seems to have almost stopped. Some years ago, though, scientists came up with an exciting study: they think that subduction might be reversing – the southern margin of the Eurasian plate might be getting ready to subduct under Africa. I am not going into this now, but it’s worth keeping an eye on new research results here. 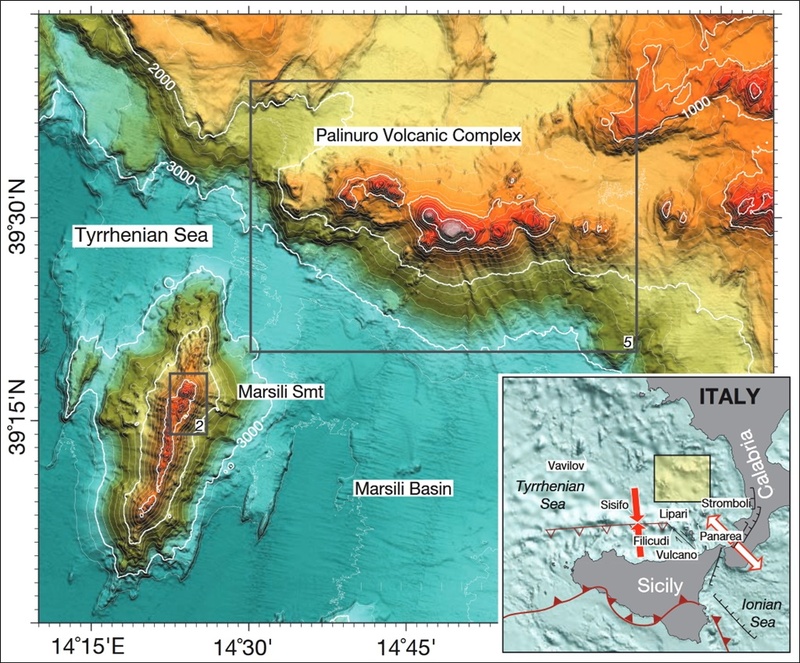 Geodynamic setting of the Southern Tyrrhenian Sea and location of the Marsili Seamount. What we are left with at present is a result of very complex subduction systems and rifting processes. In the SE part of the Tyrrhenian Sea the bending and stretching crust produced several basins. The Eolian Islands with Sicily and Stromboli are the volcanic arc of the converging system. But the Eolian islands are part of a wider, largely submarine, roughly ring-shaped complex of volcanic edifices. 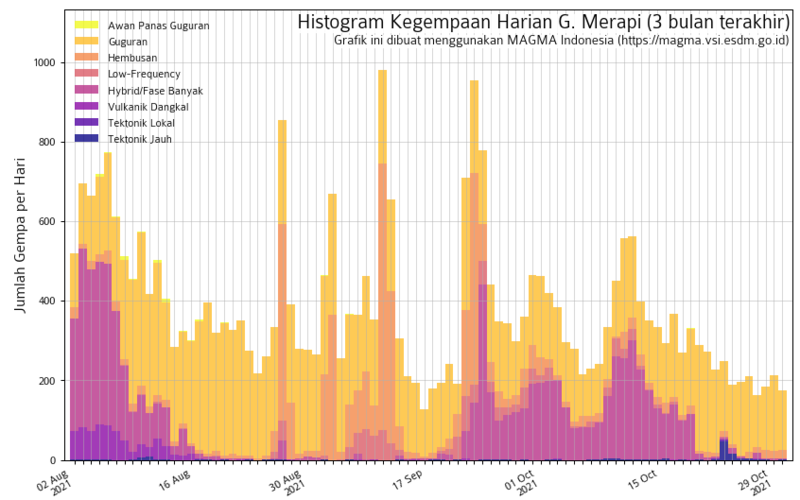 Their activity started less than 1.7–1.5 Ma ago. In the Southern Tyrrhenian Sea back‐arc basin, extensional tectonics have generated spreading zones and injected oceanic basalts during that time. It is divided in two distinct sub-basins – the Vavilov Plain and the Marsili Basin. The Vavilov plain is older and it contains the deepest point of the Tyrrhenian basin at approximately 3785 m b.s.l. 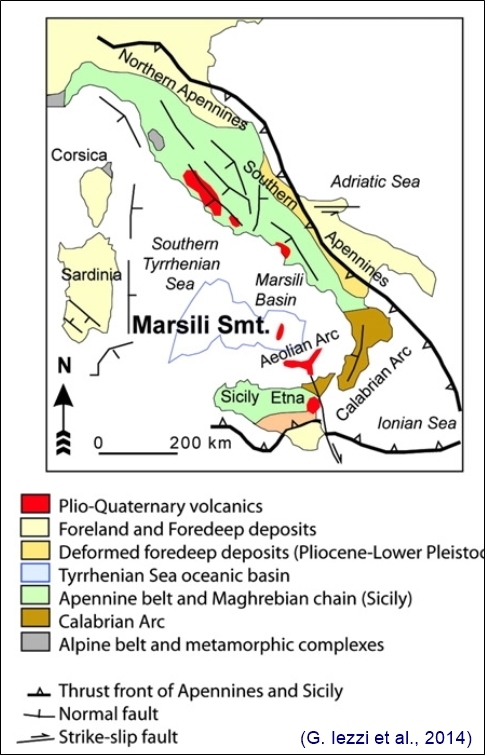 The rapid sinking of the Marsili Basin was accompanied by rigorous magmatic activity from numerous large and minor volcanoes. 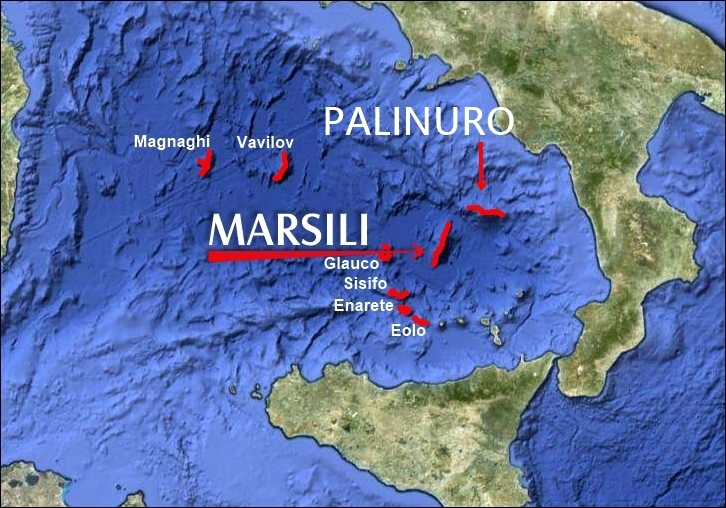 In the Marsili basin, whose mode of extension is still a controversial issue, reside at least two submarine volcanoes proven active – the Marsili and Palinuro Seamounts. There are many other submarine volcanoes in the Tyrrhenian Sea: e.g. Vavilov, the Magnaghi, and the smaller Glaucus, Eolo, Sisifo, Enarete. All of these, however, are very little researched and deserve more attention. The Palinuro is a submarine volcano (seamount) 75km off the coast of Italy in the eastern Tyrrhenian Sea. It is located at the northern margin of the Marsili basin, at the boundary between the oceanic basin and the continental slope. The mountain runs in E-W direction, has a length of 53 km and is made up of several coalescent edifices. It is still considered active and currently in a dormant phase. This massive complex rises from a depth of about 3000 m up to about 70 m below the water surface. This is a depth that would – in a potential, strong eruption – allow an ash column to break the sea surface. Sonar images of the seabed have revealed a horseshoe-shaped summit caldera and at least eight craters through which lava and ash have been expelled in the past. The edifice consists mainly of Phonolite and Trachyte/Trachydacite lavas. Andesite rocks recovered from the top show a clear affinity to calc-alkaline volcanism – commonly associated with the Aeolian islands. However, it is still a matter of debate whether or not the Palinuro is structurally part of the Aeolian arc. The latest ash deposits on the seafloor were determined dating to 8040 BCE. Ash samples of the same composition have been found on the southern Italian mainland and were tentatively attributed to the Palinuro seamount. Age and petrochemistry of the top lavas are almost identical to those of the Aeolian island arc. These have been interpreted as generated by subduction of the eastern Mediterranean beneath the Calabrian Arc. Several investigations have been carried out in recent years regarding the massive sulfide deposits and hydrothermal Fe oxy-hydroxide and manganese deposits, which have a potential commercial value for their metal content. They also found fragments of sulfide chimneys, and low-temperature hydrothermal venting was observed in the western summit of the volcanic complex. Isotopic signature and abundance of native sulphur may suggest that the source for the mineralizing fluids is a degassing magma reservoir at depth. The morphology of its western part suggests a caldera-forming gravitational collapse event of an older edifice has occurred. This was followed by reactivation of volcanic activity along ring faults, with the volcanic cones emplaced along the caldera rim. 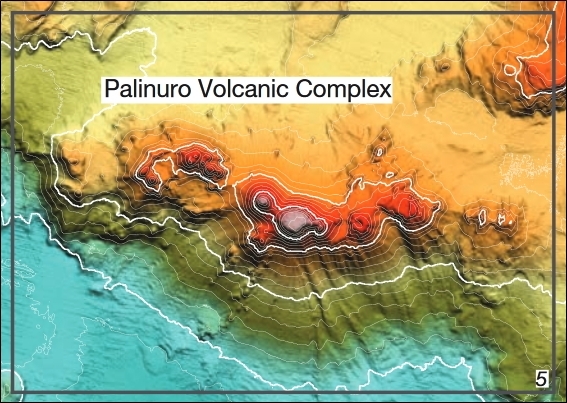 As with its neighbor, Marsili Seamount, an eruption of Palinuro would not be the main concern for the communities on the surrounding coast. More worrying is the fact that this seamount consists in many parts of just loosely consolidated boulders and hydrothermally altered rocks. Seismic activity, which is high at any time in this part of the Mediterranean Sea could contribute to the risk of flank failures and ensuing tsunamis. This seamount was discovered during the 1920s and named after an Italian geologist, Luigi Ferdinando Marsili. 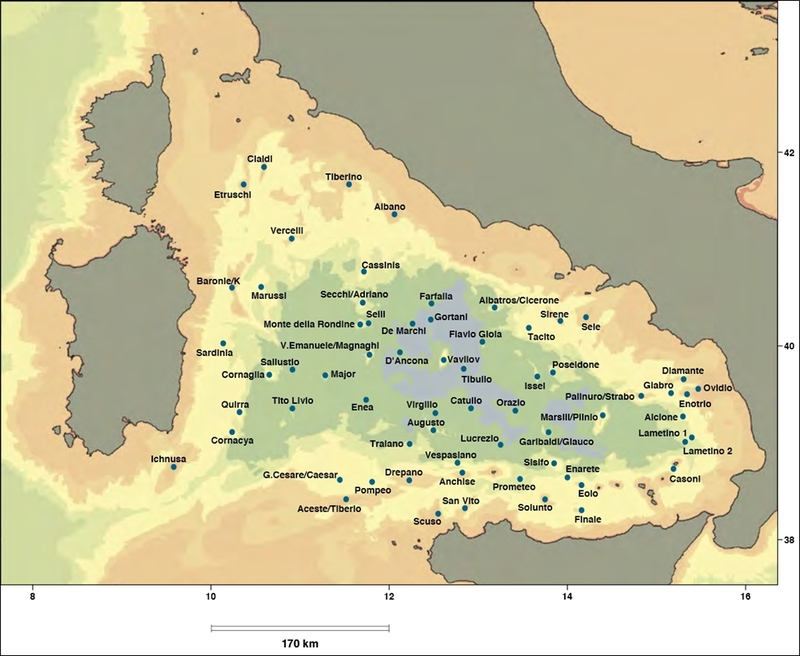 Extensive studies have been carried out since 2005 when the Italian National Research Council started a vulcanology research program on the site. It is the largest volcanic edifice in the Tyrrhenian Sea, and it can also be ranked as the largest in Europe. 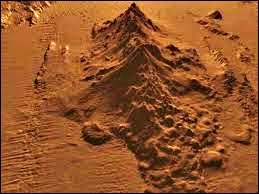 The huge massif is about 55 km long and 30 km wide. The foot of the volcano is at a depth of 3000 m and it rises to some 500 m below the water surface. 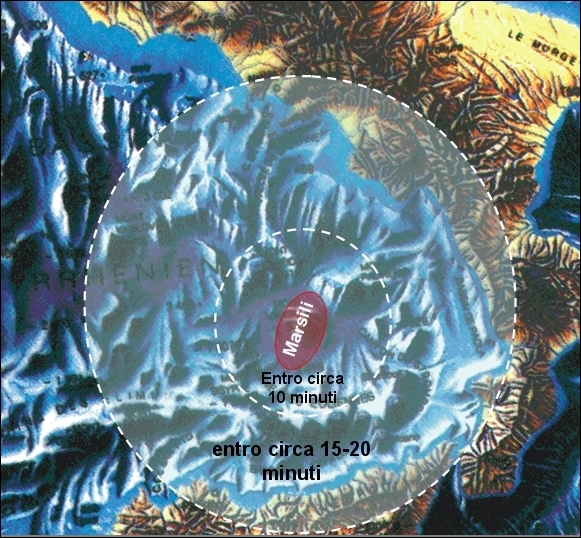 yet only based on bathymetry data, the Marsili formed by passive magma ascent along pre-existing fractures caused by early spreading activity. Analyses of Marsili basalts suggest the presence of a still active magma reservoir roughly 2.5 km below the summit of the volcano. The loosely piled rocks of the mountain are highly permeable. That means that the heat source present within and below Marsili enabled intense hydrothermal circulation. So the fluids altered the basalt to a more crumbly and unstable condition, identified as low-density masses in magnetic measurements. Researchers also found hydrothermal chimneys on Marsili’s summit by towing a camera from the ship. Various seismographs positioned on the volcano have detected continuous shallow volcano-tectonic seismic activity. In spite of seeing several headlines that the Monster is About to Erupt I rather go for the statements in a 2016 INGV blog post: it has the potential for a possible eruption. The most recent known eruptions of Marsili date back to an age between 7,000 and 2,000 years ago. These were events with a low VEI, occurring particularly in the central sector of the massif between 800 and 1000 m of depth. In the case of a submarine eruption at depths of 500-1000 meters, the only signs on the surface would be pumice floaters, a colored stain and spots of “boiling water” due to degassing. Probably floating pumice would remain in suspension for some weeks (as happened in the 2011 eruption off El Hierro in the Canaries). The volcanic risk associated with such submarine eruptions is extremely low, and an eruption at depths greater than 500 meters would probably cause no more than a temporary warning and restriction zone for marine vessels. Also, in this context, the tsunami risk because of an eruption is negligible. Here again, the worry about possible risks has another reason; it is based on the static instability of the edifice. The volcano is mechanically stabilized by a series of fractures, filled with compact lava rock, that act as ‘containment walls’ for low-density masses of boulders and scree. The research vessel Urania has found evidence of many small, localized landslide scars along its flanks. Such landslides reducing the flanks are very common in submarine structures, and they are no threat in themselves. However, they might also have reduced the thickness of those containing “walls”. It is thought that, potentially, large inflation from the ascent of a significant (cubic kilometers) quantity of magma could seriously destabilize whole sectors of the volcano. REAL RISK – OR FEARMONGERING? Palinuro’s and Marsili’s volcanic history and structural features that have been poorly known up until recently are now the subject of various studies. On one hand, there are commercial interests in the substantial mineral deposits on and around them. On the other, the population of the surrounding coasts has become aware of potential risks of eruption, strong earthquakes and/or tsunamis. Tsunamis, caused by submarine landslides, are indeed of great concern to scientists. Such tidal waves could extend to all the Tyrrhenian coasts. Especially the nearer shores of Campania, Calabria and Sicily would have to take the brunt – the distance from these three coasts to the Palinuro and Marsili seamounts is about 120-160 km. Tsunami waves would only need 15-20 minutes to arrive after a major landslide. Tsunamis have happened several times in the past – in the Aeolian Islands there were dozens of small tsunamis caused by relatively small submarine landslide events during the last centuries. 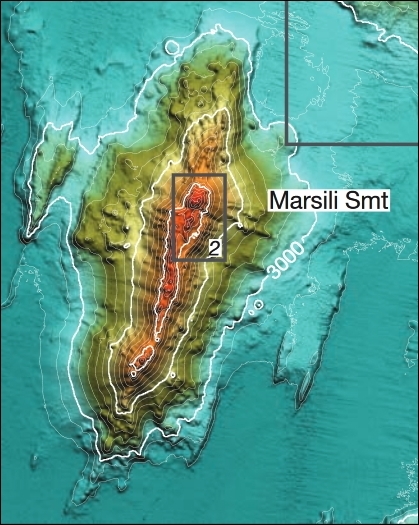 Tontini et al., in 2010, compared Marsili with the Vavilov seamount. On that volcano, landslide features have been identified. The Vavilov system, with dimensions and orientation similar to those of Marsili, is located 200 km NW of Marsili in a backarc setting that was active before the Marsili system. So, Vavilov is older than Marsili, but with a very similar genesis and rock composition. Thus it could provide a possible scenario of Marsili’s fate in the next 2 Myr. Moreover, magnetic measurements suggest that Vavilov, just as Marsili, contains low-density masses. The entire 40 km long W flank of Vavilov (a volume of at least 50 km³) appears to be missing, in a collapse that may have taken place in one single event. Similar large collapses may well take place in the future at Marsili. Both Marsili and Vavilov are located close to highly populated areas, i.e., southern Italy, Sicily and Sardinia, and collapses of large masses from these volcanoes indeed have the potential for generating major tsunamis. What next, what can be done? – know all about the local tectonic movements. 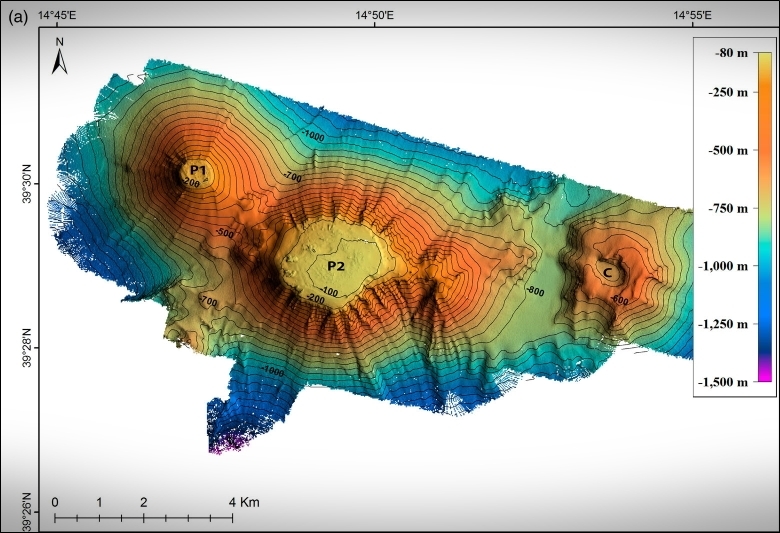 Once all the parameters are known, models can be used to calculate the volume and the dynamics of a possible submarine landslide. From this it can be evaluated whether or not, and how strong, a tsunami could be triggered. The task would then be to openly and regularly inform the population. This will make all the difference between “be informed and aware” and “panic!”.